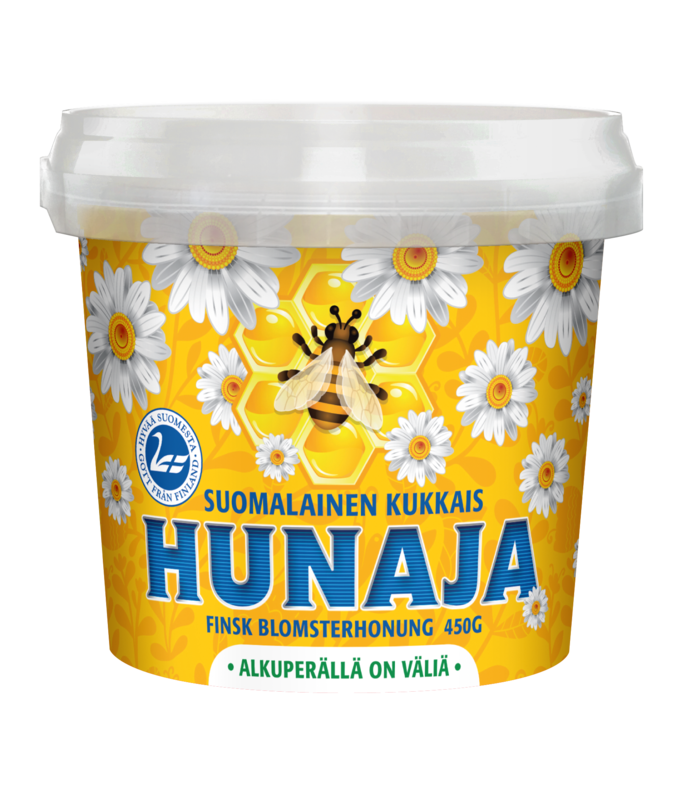 Our most well-known and best-selling product contains traditional Finnish multifloral honey. The crop plants include raspberry and clover, but all types of other summery nectar sources also add their own aromas and flavours. This honey has a mild flavour, it is darkish yellow and somewhat crystalline, yet it is soft and easy to spoon. EXPORT PRODUCT.